Man! There is just so much to talk about today. So let’s make a list. I’m really good at making lists. Sometimes I make lists just to make another list. Clearly I’m that girl. 1: Easter is coming and that means BRUNCH! Get ready for the most epic menu next week and the carrot cake of your dreams. But in the meantime, we’re cocktailing. 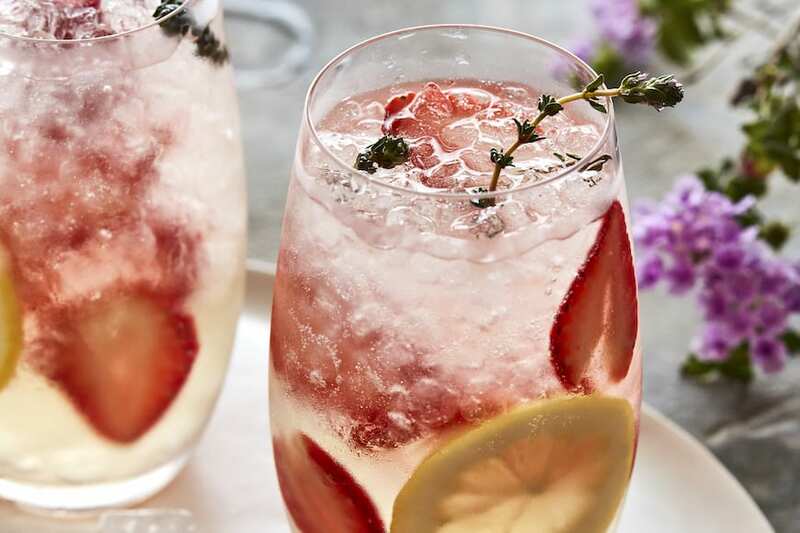 2: These Strawberry Thyme Lillet Spritzers are legit. Have you guys had Lillet before? It’s a French aperitif wine which makes me feel really fancy. I mix it with Champagne, because I’m extra fancy, and some gorgeous strawberries and thyme. It’s insane. And beyond easy. You should absolutely make these immediately. 3: We’ve officially started the countdown to my birthday. June 1st. It’s coming up. And I’m pumped. 4: I’ve decided that I do my best work when my desk is littered with flowers. My farmers market addiction is next level at the moment. Okay – that’s all I’ve got for today! 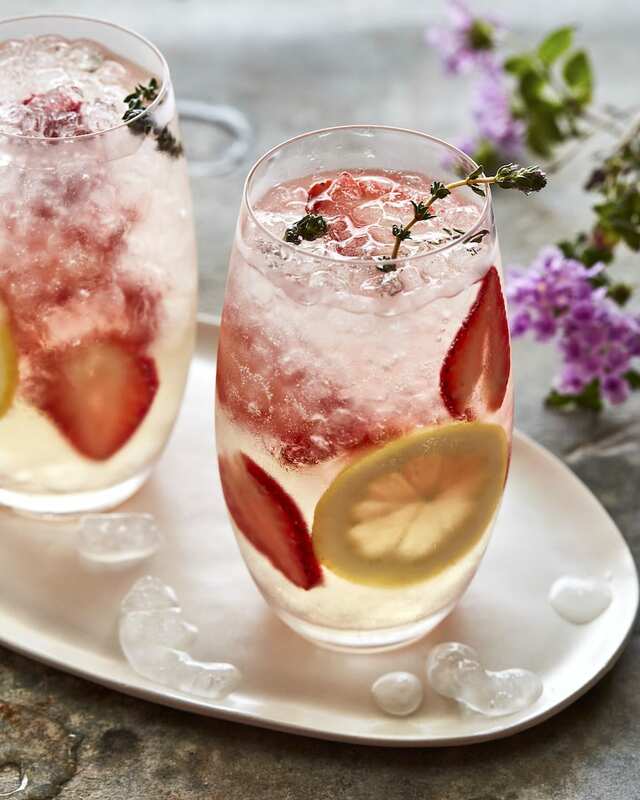 Wish you all a fab weekend that’s filled with one, two, or maybe even three Strawberry Thyme Lillet Spritzers!